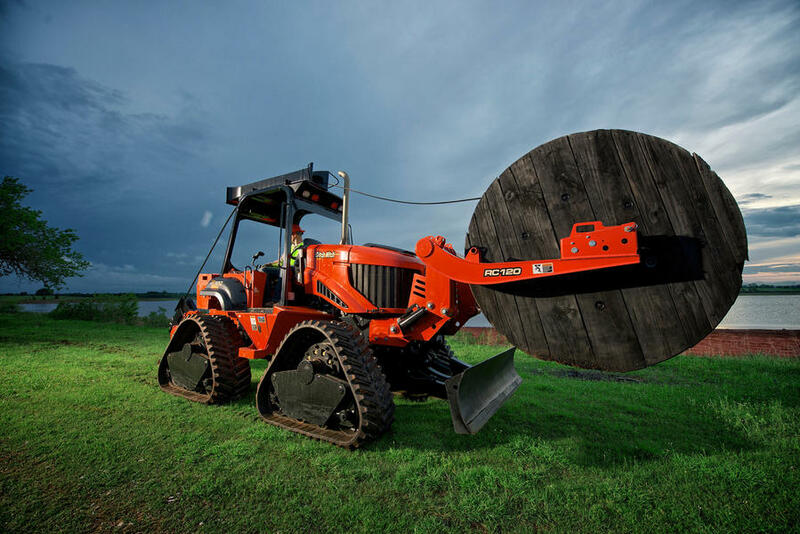 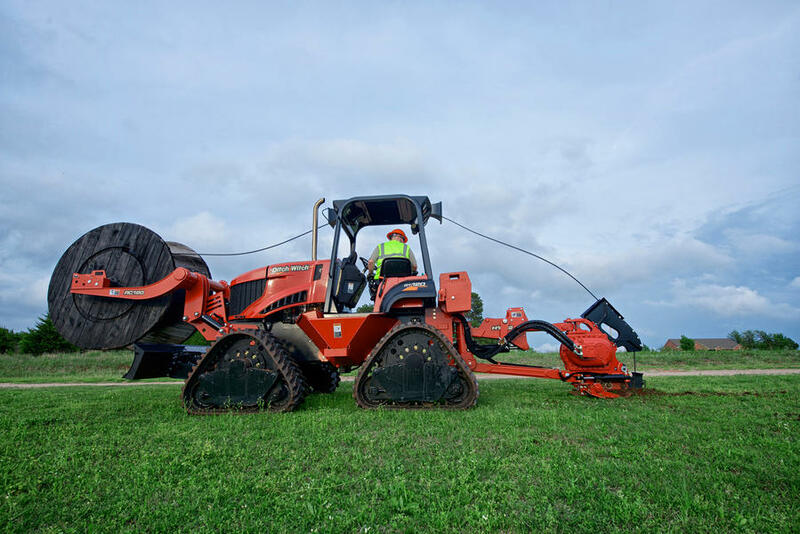 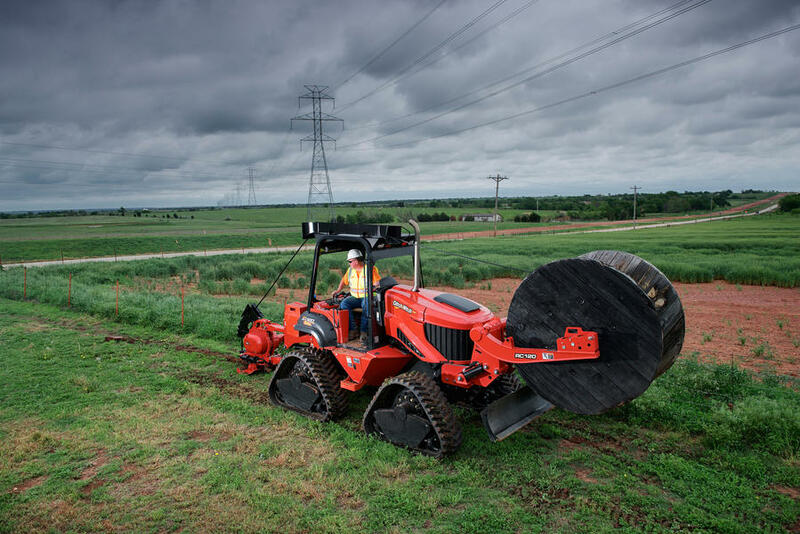 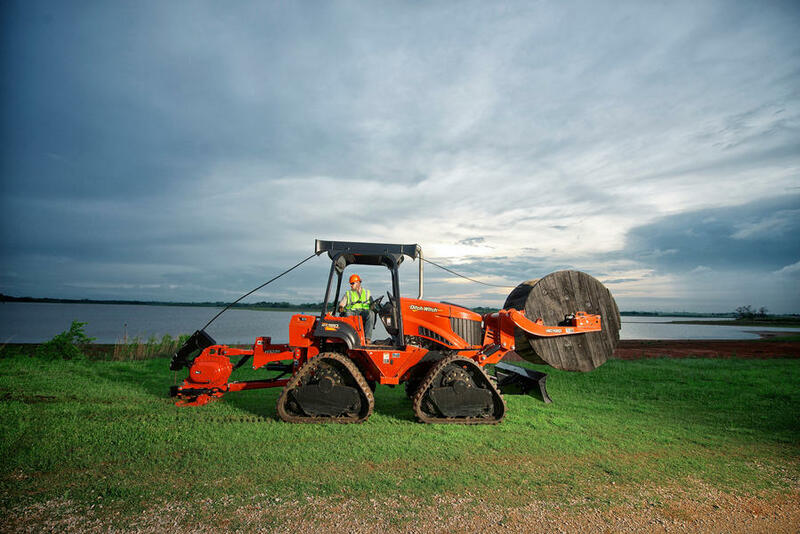 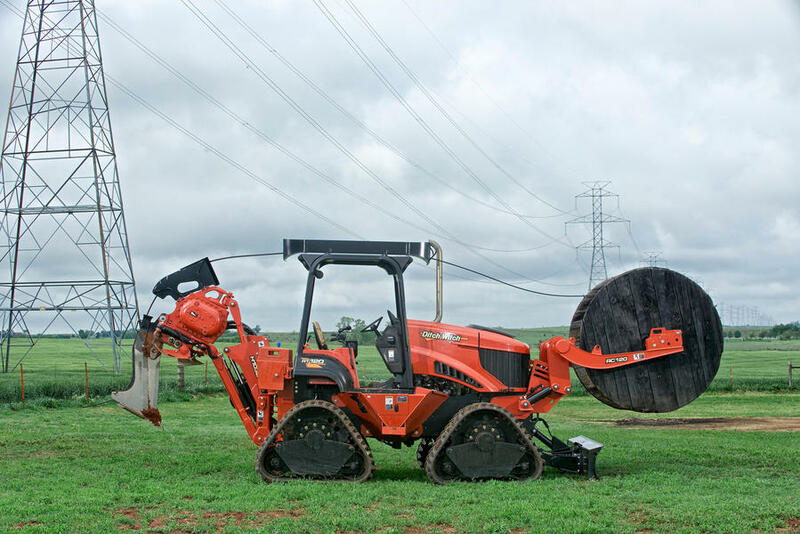 When you’ve got a lengthy utility or telecom installation, you’re bound to run into all types of terrain along the way. 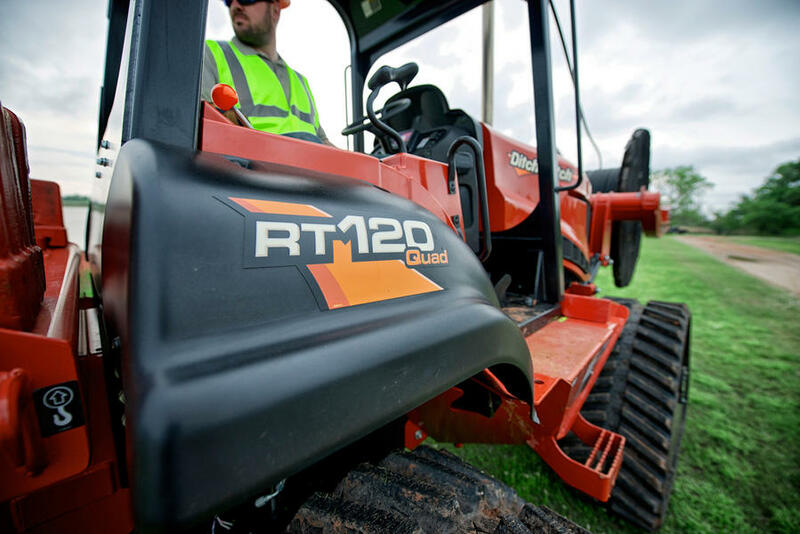 That’s when you’ll begin to realize the true value of the extraordinarily stout, powerful and stable RT120 Quad. 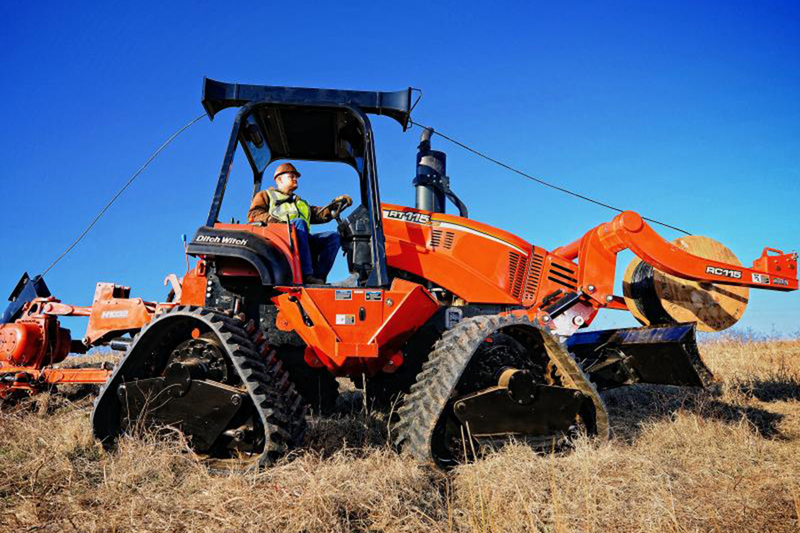 Its massive undercarriage, superior Quad Track System and three-speed, shift-on-the fly transmission combine to handle whatever the jobsite throws at you. 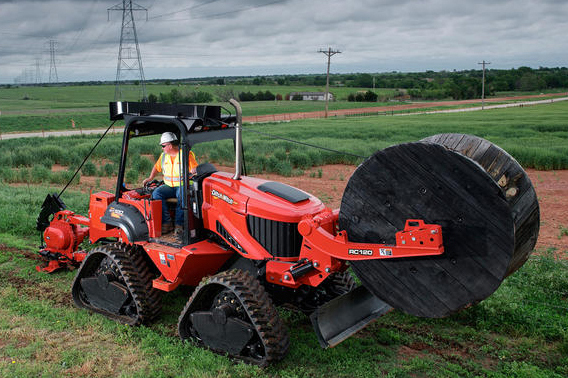 And driving everything is a powerful, Tier-4-compliant diesel engine that meets all emissions requirements. 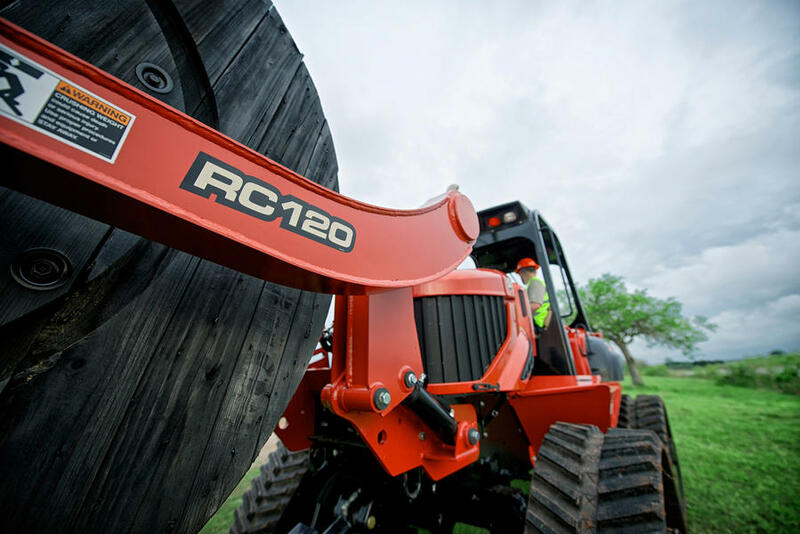 With the RT120 Quad, nothing slows you down. 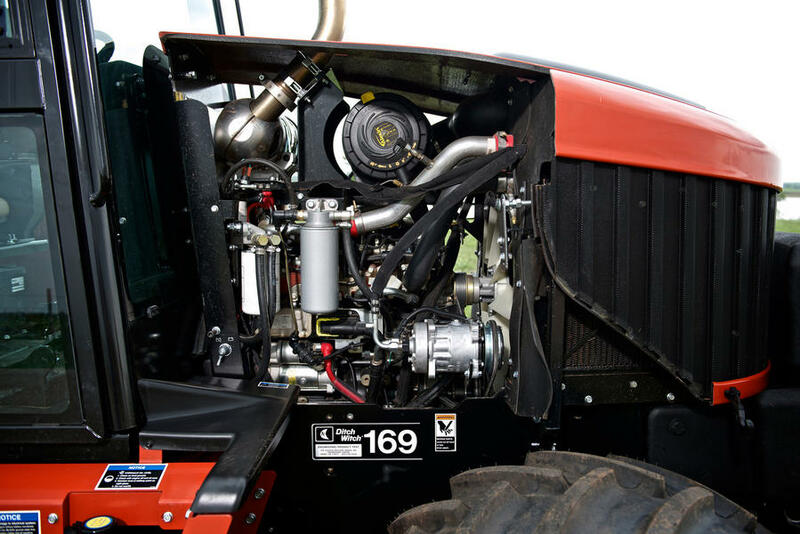 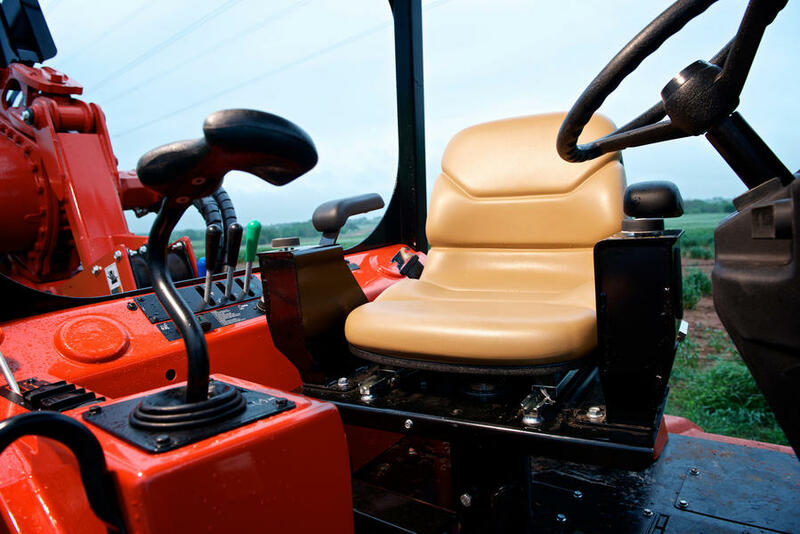 120-hp Deutz diesel engine and reliable hydrostatic transmission keep the RT120 Quad running strong all day long; engine is Tier-4 compliant, requiring no expensive after-treatment. 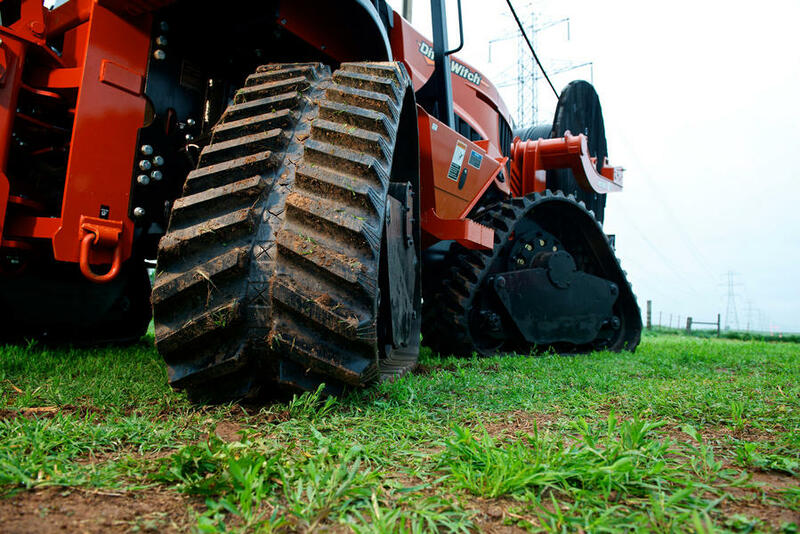 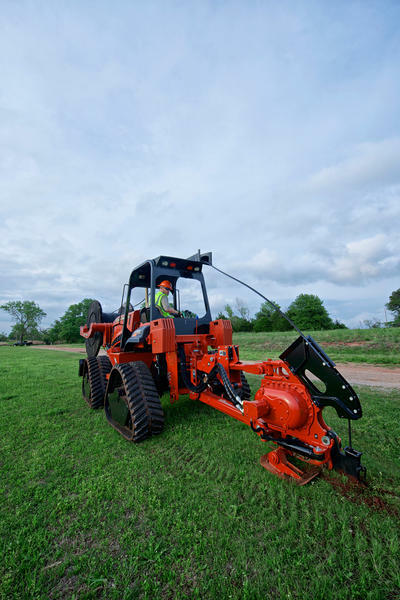 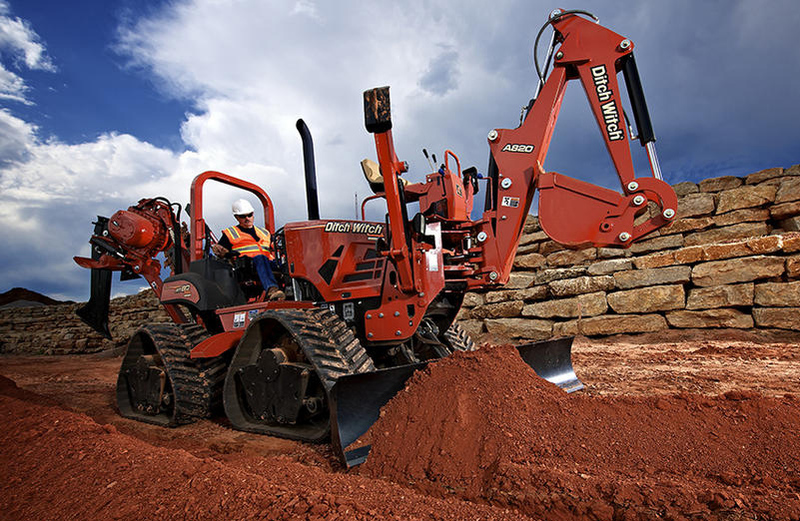 Heavy-duty, robust track frames—designed and built by the Ditch Witch organization—weigh 1,500 lb each (including track), providing a lower center of gravity for increased stability and drawbar. 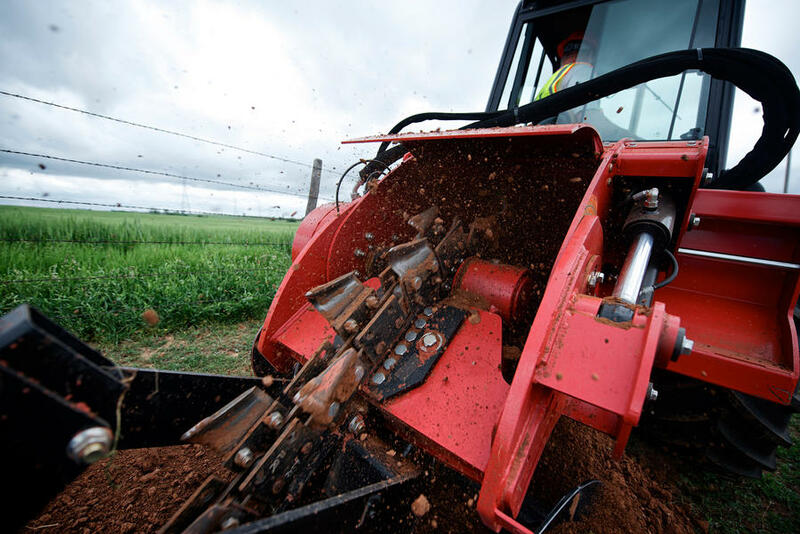 Best-in-class ground clearance of 15.5 inches helps the RT120 Quad be more productive in and around bar ditches, creek beds and uneven terrain in general.